A Whitby Veterinarian's blog on Lyme Disease. Spring is here! As the temperature start to creep up, it will awaken all of the beautiful flowers, as well as all the creepy crawlies. One of the main insects we are concerned about are ticks. Ticks can carry a variety of diseases that can affect people and pets. Ticks will become active once temperature reach 4 degrees Celsius, so starting your tick prevention in March is essential. 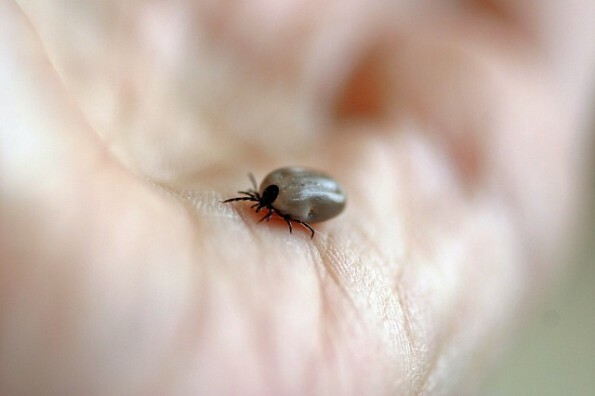 In the Whitby area, the most common disease they can carry would be Lyme disease. Lyme disease can affect both humans and dogs. As of right now, we have no cure for Lyme disease, so the best medicine would be to prevent ticks from biting in the first place. For pets, this is best achieved with a prescription medication from your Whitby veterinarian. There are a few medications that are licensed for tick prevention on the market. You can discuss the options with your veterinary team to find the product that best works for you and your pet. Please visit http://www.wormsandgermsblog.com/files/2014/11/Ticks-Infosheet-V11.pdf for more information regarding ticks and Lyme disease.